Once you’re logged, select Manage Retailers (on Android phones you’ll need to click on the menu icon at the top left first). Choose the service you want to connect. (You’ll need to be on an iPhone in order to link your iTunes account and you’ll be taken to the iTunes Store). And that’s all there is to it. The app grabbed a significant chunk of my movie library, which is quite large. 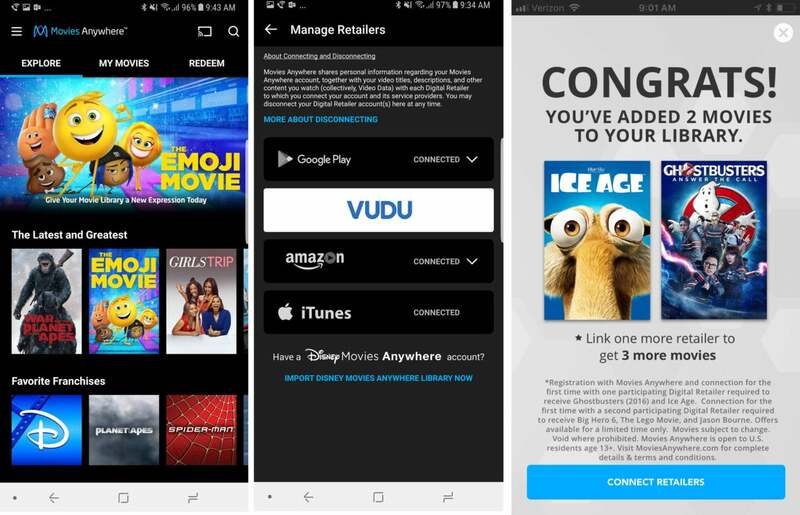 Of the 300 or so titles I own, 178 turned up in the Movies Anywhere app. And I assume more studios (such as Lionsgate and Paramount) will sign on as the service spreads in popularity. The app is available for Apple TV, Roku, Kindle Fire, and Fire TV devices, and it also supports Chromecast. You’ll notice that Microsoft isn’t one of the services supported, so Surface users are out of luck. 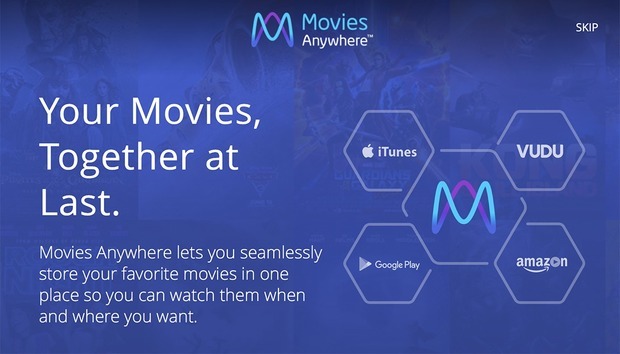 That's not a complete surprise as Microsoft Movies was dropped from the Disney Movies Anywhere app in September.